CALGARY — For 35 years, the Junior Steer Classic at the Calgary Stampede has been committed to developing the next generation of agriculture advocates. And it consistently puts its money where its mouth is: this year, approximately $73,000 in scholarships and prizes went to competitors aged nine to 21. Cody Lafrentz had the biggest withdrawal from that figure for his Grand Champion title, taking home a $5,000 cash prize in addition to $12,000 towards scholarship. Lafrentz brought his club calf Lucky Strike (1,413 lb.) from his family’s farm in Bienfait, Saskatchewan, a trip he’s made before. It was a bittersweet year for the 22-year-old, as he’s aged out of the competition. Sixty-seven competitors in 10 classes showed at the Nutrien Western Event Centre on Sunday. The final round saw the top two steers from each class face off before judges Lance Leachman and Christie Gabel. Reserve Grand Champion Devon Scott of Arrowwood, Alberta was awarded a $3,000 cash prize and $8,000 in scholarship. And two new $1,000 scholarships were awarded this year: Shelby Bygrove of Lloydminster, Saskatchewan received the Digital Networking Scholarship, while Spencer McMillin received the Hersdman Scholarship. That was in 2012. 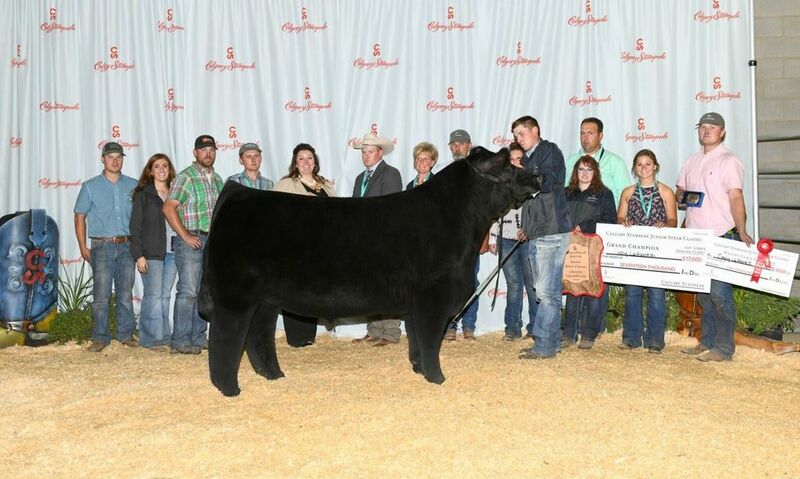 In 2016, Noble and his club calf were named Reserve Grand Champion in the Junior Steer Classic. The win came with a cash prize of $3,000 and an $8,000 scholarship. The next month, Noble headed south of the border to attend Hutchinson Community College in Kansas. After graduating from a two-year program with a minor in Animal Science from Hutchinson this year, Noble returned to the family farm. He has opportunities to finish his degree elsewhere, but is focusing on the family cattle operation for now. And he spent time preparing his steer for this year’s Stampede, a special year for him as it’s the last one he will be sharing the experience with his older brother. As Ryley Noble is turning 21, it was his last Stampede. Between the two of them, the siblings have earned approximately $26,500 in cash and scholarships. That figure includes the prizes the brothers won at this year’s Stampede. Both won their classes and made it to the final round, with Toby placing in the top six with his steer Jim, a 1,346-lb. club calf. 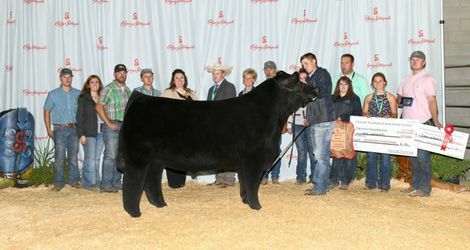 Visit ag.calgarystampede.com/results for full results from the Junior Steer Classic.